KARACHI: Pakistan�s foreign exchange reserves fell by $436 million to $8.09 billion during the week ended on December 20, said the SBP on Thursday. The reserves did not show the inflow of $553m received from the IMF on 23rd of this month. The addition of this inflow would certainly increase the total as well as the reserves of the State Bank. The reserves of the private banks also fell sharply during the week after having witnessed a rising trend since January 2013 when their forex holding stood at $4.941bn. According to the SBP report the private banks� reserves fell by $161m to $4.897bn during the week, which is slightly better than the $4.871bn in December 2012. After the finance minister�s warning the dollar lost Rs2.50 in the last 20 days. The dollar was available at Rs105.50 in the inter-bank while the open market was slightly above this rate on Thursday. The government exerted pressure to bring down dollar rates in both the inter-bank and open markets but the exchange companies were complaining that banks were not supplying dollars as per their demand and requirement. At the same time, the exchange rate in the inter-bank market was stagnant. The finance minister recently met heads of the banks in Islamabad and asked them to release dollars to exchange companies while assured them of fresh inflows in coming months. 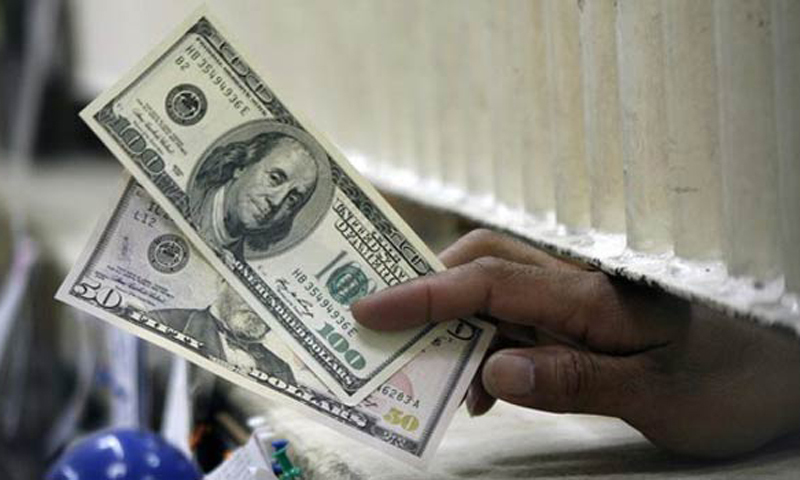 The banks boosted dollar supply to the exchange companies and rates started falling to Rs106 from Rs110. The supply was also improved in the inter-bank market, which ultimately reduced the reserves of the private banks. Dealers in the inter-bank market have been complaining that the State Bank influencing the currency market by forcing large banks not to appear in the market, a move to sell least dollars in the inter-bank market. Dealers said the SBP�s influence is now limited with the intervention of the finance minister. State Bank�s reserves fell $275m to $3.192bn during the week ended on Dec 20 and this was due to debt servicing and other official payments. The State Bank of Pakistan said external debt servicing was $162 million inclusive of $58 million repayment to International Monetory Fund and other official payments equal to $23 million. During the week, there was no major inflow from multilateral and bilateral sources.